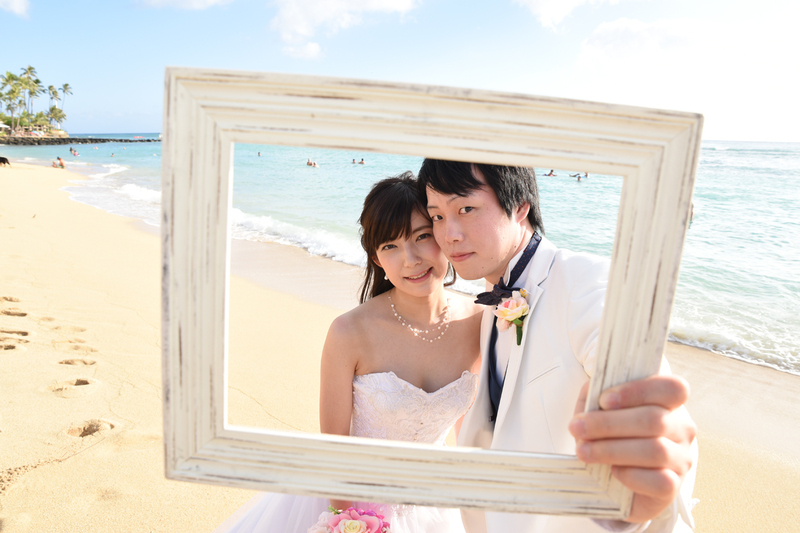 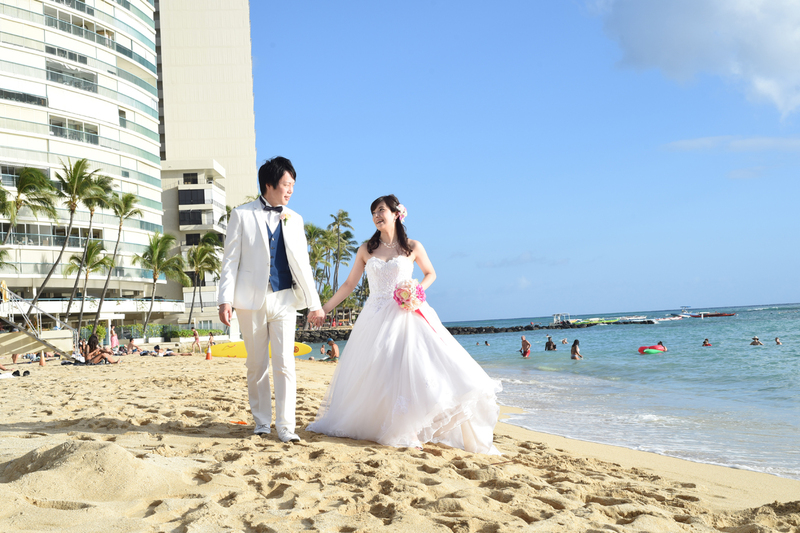 Dressed in wedding gown and tuxedo, Junichiro and Shiori stroll on the beach by Kaimana Beach Hotel in Waikiki. 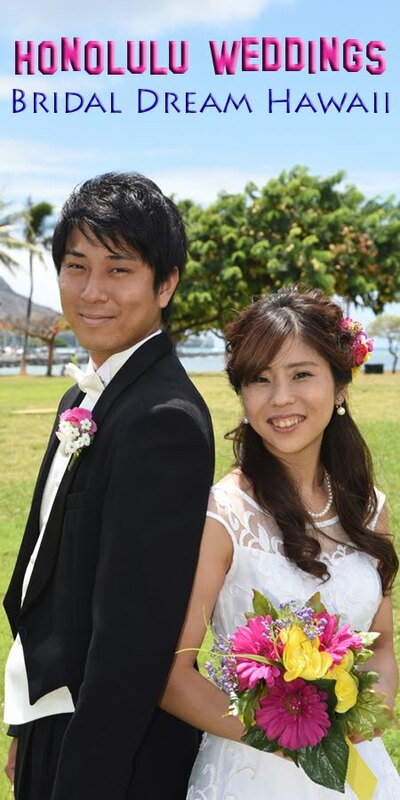 Happy couple. 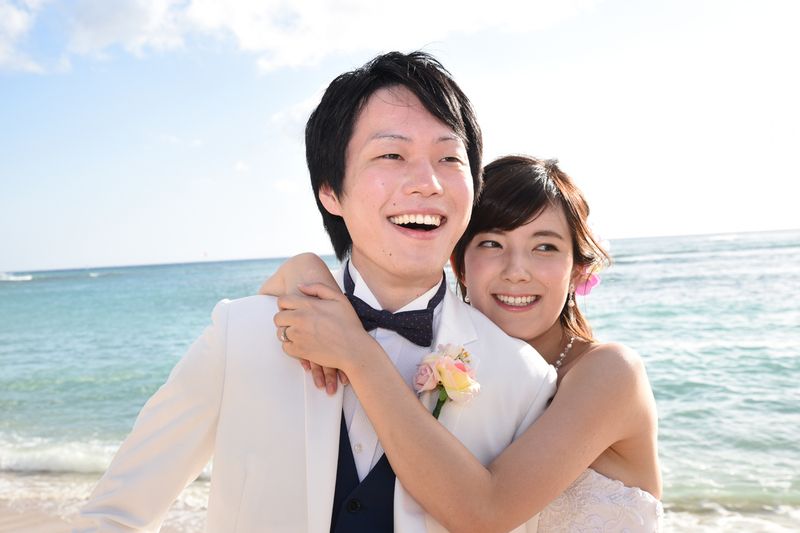 Lucky guy gets a nice hug. 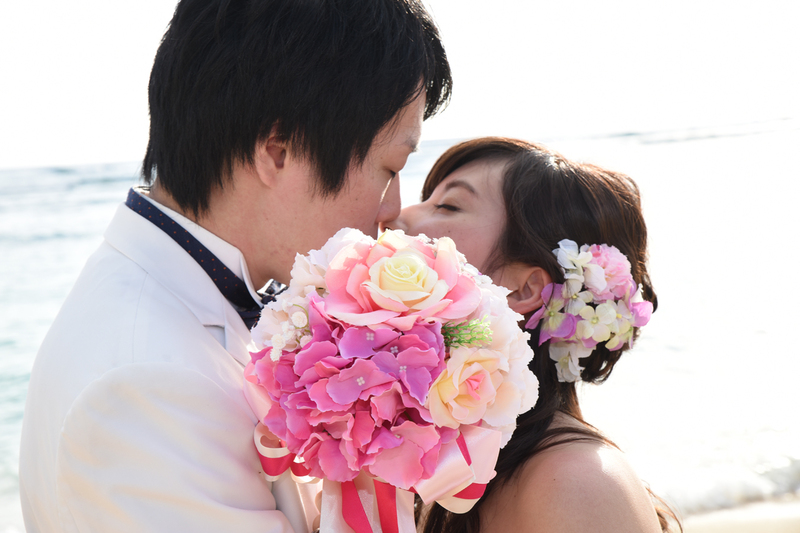 Sneak a kiss behind a pretty pink bouquet.